Every 22nd of March, countries around the world commemorate World Water Day with a variety of local activities. 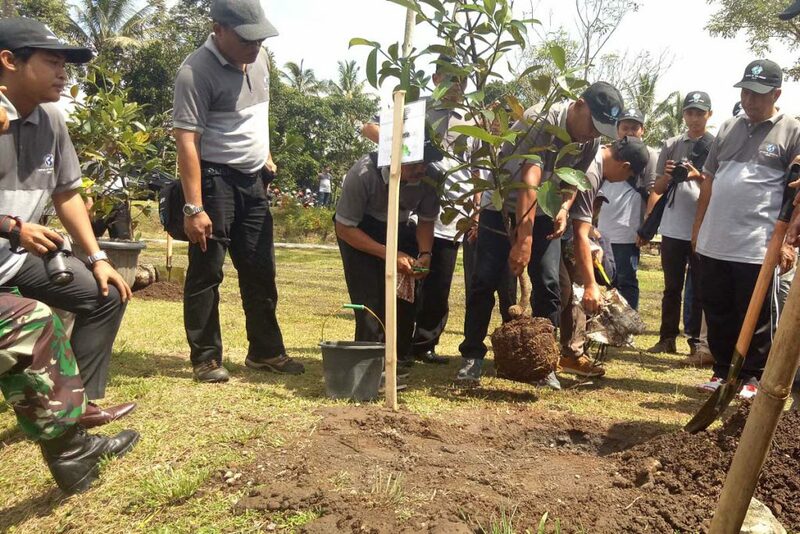 In Sleman Regency, Indonesia, World Water Day commemorations were held on 23 March 2019 at the Kaliaji reservoir in the village of Wonokerto. Invited by Sleman’s drinking water service provider (the event initiator), participants were important stakeholders from governmental institutions, associations, academia, communities and NGOs including BORDA. Organised around the theme of “every single person needs water”, the event’s main activities were spreading fish seeds, tree planting, and a mini talk show. The regent of Sleman Regency, Mr. Drs. 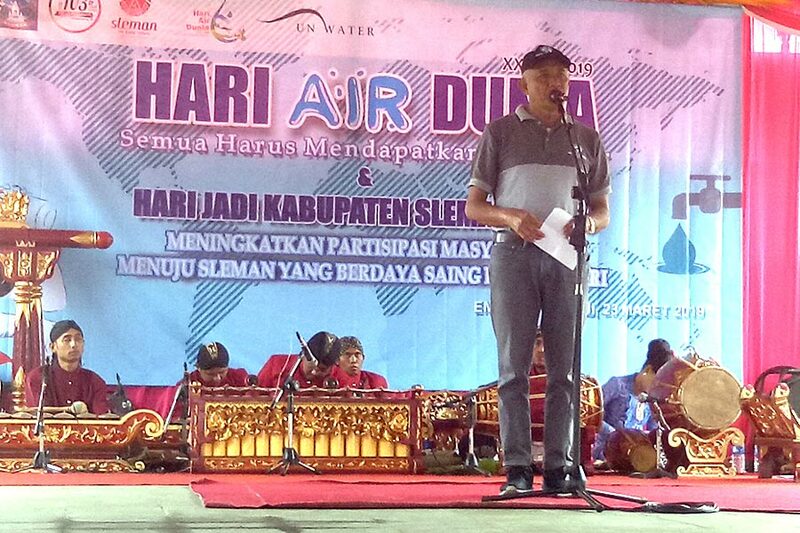 H. Sri Purnomo, M.Si officially opened the event with his speech on the current water resource situation in Sleman. He invited residents to protect and conserve local water resources, and he pointed to comprehensive water resource management efforts in Sleman Regency such as building more reservoirs for irrigation, drinking water supply and flood prevention. 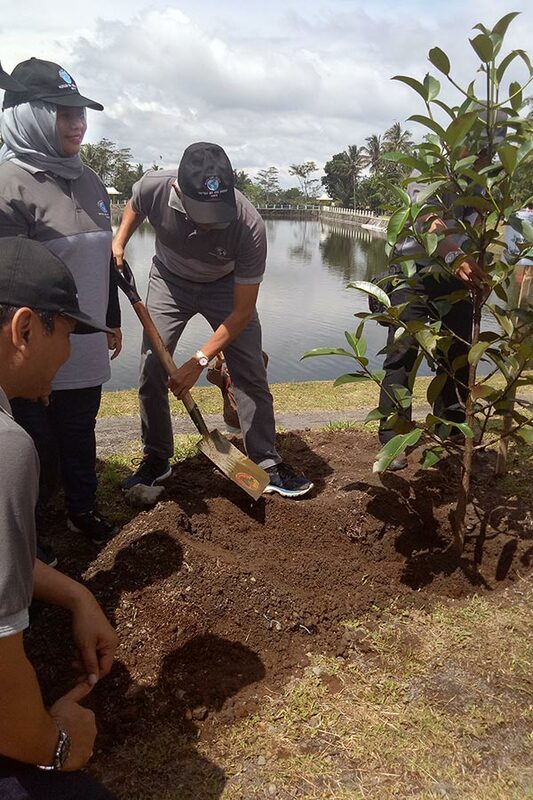 In actions symbolising ecosystem protection, reforestation and groundwater conservation, Mr. Sri Purnomo and the attendances released fish seeds into the reservoir and planted a tree. These activities were significant due to the location of Sleman Regency in the north of the Special Region of Yogyakarta, as water flows from there to the city of Yogyakarta and Bantul Regency, turning them into catchment areas. This means water resources in Sleman need to be protected and conserved with maximum efforts. 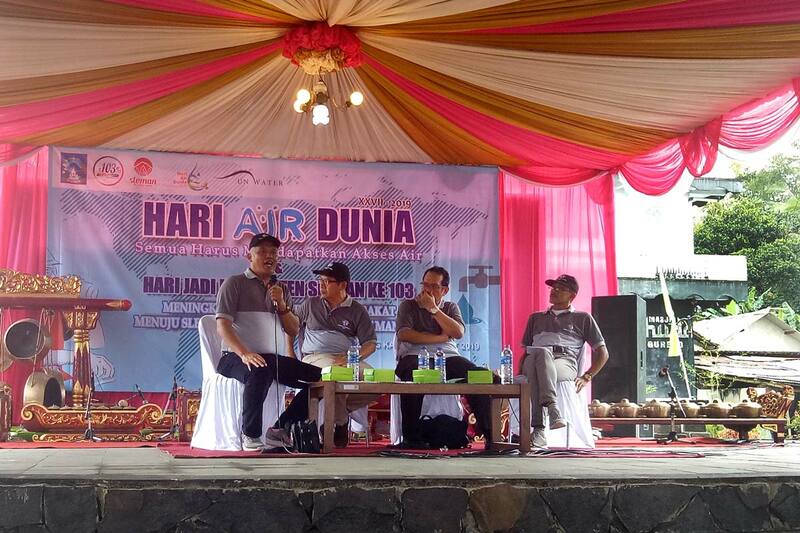 Bringing the event to a close was a mini talk show focused on the management of water resources in Sleman Regency. The speakers were lecturers from the technical and agriculture faculty of Gadjah Mada University and an expert from the Sleman local government. They emphasised that Sleman Regency needs to restructure its approach to local water resource management so that demand in the catchment area can be fulfilled. Furthermore, the utilisation of water resources must be balanced, with no excessive exploitation for water consumption. As a partner of Sleman Regency, BORDA looks forward to the implementation of Sleman’s water safety plans and good coordination in developing their strategy for water resource protection and conservation.